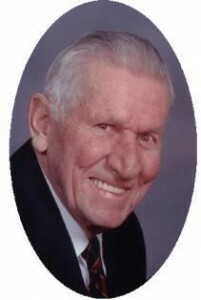 He was born January 27, 1923 in Port Washingtonto Joseph and Esther Retzer Swatek. He served in the Coast Guard as a Motor Machinist Mate Second Class during World War Two. On January 15, 1955 he married Lillian Burton Ternes at St. Mary’s Church in Port Washington and lived on W Grand Avenue for many years. Fritz operated the Shell Service Station on W Grand Avenue, where Grand Avenue United Methodist Church now stands, from 1944 into the 1960’s. He then worked for Simplicity in the “Quality Assurance” department. He was a member of the International Association of Machinists & Aerospace Workers Local 1430. He was a member of the Port Washington Senior Center and it’s Green Felt Vlub and enjoyed woodworking and bowling years ago. In 1972 Fritz golfed a hole-in-one at Hawthorne Hills Golf Course. He is survived by his wife Lillian, daughters Diane (Stan) Mountford of Hollister, California and Mary Jo Johnson of Milwaukee and grandson Kaleb Johnson. Further survived by brothers Paul “Duke” (Nancy) Swatek, Lyle (Dotty) Swatek both of Lake Geneva, Wisconsin and Ralph (Phyllis) Swatek of Cedarburg, brother-in-law Allie Eischen of Saukville other relatives and friends. Preceded by brothers James, Don and Howie Swatek and a sister Ruth Eischen. Rev. Tom Lijewski will celebrate Mass 7 pm Tuesday, July 1, 2008 at St. Mary’s Church, 430 Johnson Street, Port Washington. Interment parish cemetery. Visitation 5 – 7 pm Tuesday at church. Memorials appreciated.